Could Mainstream Technology Fuel the Stunning Growth of Own Ecosystem? Below is the technology industry news & trends report for June 2017. You can also check out our latest news & trends report to be in the loop of what’s shaping the tech industry landscape today. Do you know why Apple’s new home assistant – with a relatively small target market – is such an important step for the technology industry? Have you ever wondered how big the mobile ecosystem will be in 2021? And have you already heard of the value focus shift of the online travel business? Let’s talk about these exciting topics and some other trends that make up our June review. Google made TensorFlow Object Detection API available. It employs a new machine learning model allowing for rapid search and recognition of multiple objects in images. And now the technology is opened for a wide developers’ community. The API fits well for mobile and real-time data processing and Google has already powered some of its own products, like NestCam, with it. If you use the Google API, you’re welcome to try, as the new product allows for the fast integration of their cloud services. This update can definitely improve the tech giant’s position in the AI market (we’ve already discussed that in our April technology news and trends review). So, let’s stay excited. Early this month Apple held its annual WWDC conference, which was attended by over 5000 developers. While a lot of new things were announced and presented, we’re going to shine a light on Apple HomePod. The device will be powered by Siri and compete with such well-known rivals as Amazon Echo and Google Assistant. The smart home market is a tasty piece of the IoT ecosystem, though the market is not very big yet, only about $1.4 billion, according to Ovum. It’s very important for Apple to get an advance position in this area as far as the future of the device is to be a conductor of all IoT systems in your home. However, there is an opinion from TechCrunch that HomePod will have a bumpy road to the market. Siri still stumbles with responses from time to time, which is dramatic for a screenless device. So Apple concentrates on only a few tasks that can be delegated to HomePod. The recent Morning Consult survey, which covers 2200 adults, shows that nearly 55 percent of consumers are not interested in buying HomePod. Let’s wait and see if Apple succeeds in this field. 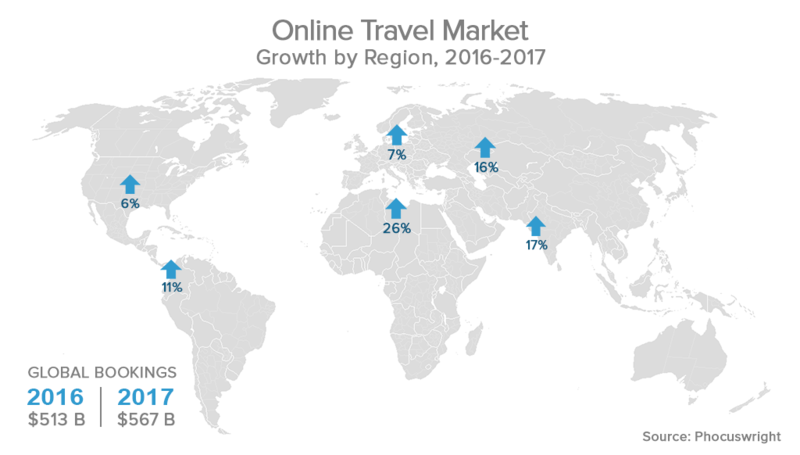 Phocuswright reports that the global online travel market will reach $567 billion in 2017 versus $513 billion a year ago. It’s about 10.5 percent up on a year-over-year basis. Which trends will contribute to this growth? Travel companies interfacing directly with consumers are more and more influenced by personalization. The market is mature. To succeed and effectively compete with such travel giants as Expedia that control such a large share of the travel market, the players should provide a tailored product or deliver an additional value. Selling tickets or rooms online is not enough nowadays. That’s why hotels provide flexible loyalty programs, OTAs offer highly customized tour packages, and travel aggregators support instant booking to improve customer experience. Market leaders also understand the importance of change. The great example is Priceline Group. 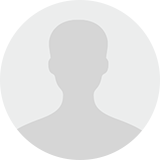 The company decided to expand the operations of its flagman – Booking.com – to restaurants, car rentals, and flights. The solution is reasonably straightforward: Priceline added tabs to redirect to its sister companies from the main site (Kayak, OpenTable, Rentalcars, etc. ), already claiming incremental traffic growth. It’s much easier for a traveler to get it all at one point than to visit over 30 different websites before making a final reservation. 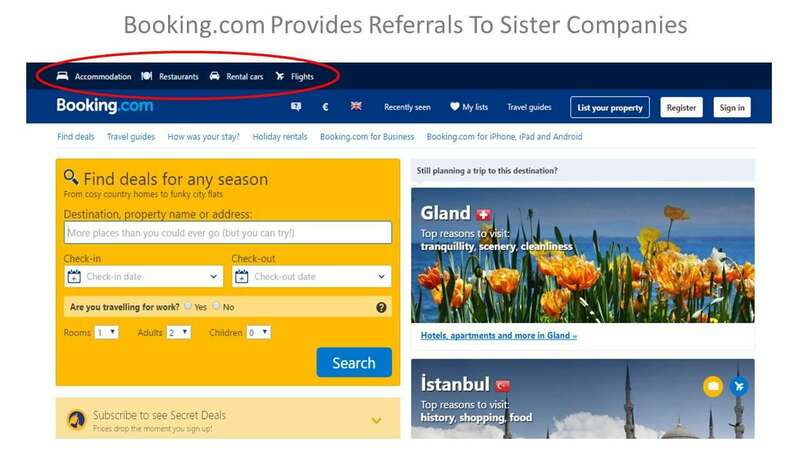 This way Booking tries to provide more comprehensive product than full-service rivals, like Expedia, shifting the market from discrete services to integrated ones. Payment is one of the core markets of the financial services industry. Back in the early 2000s, this segment was almost completely occupied by banks and still is with many traditional methods and sub-methods existing, ranging from payment cards to checks. 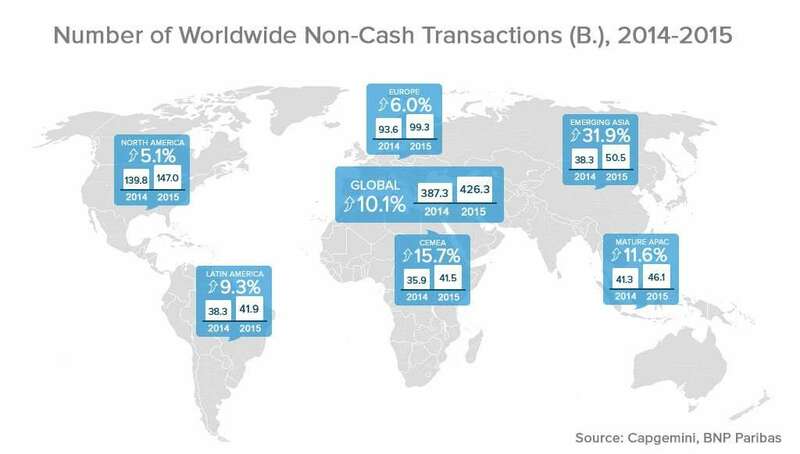 According to BNP Paribas and Capgemini, the number of world non-cash payment transactions accounted for about 426.3 billion in 2015 compared with 387.3 billion in 2014. As we see, payments remain a budding field for digital solutions that attract large volumes of investments. And Visa, pretty active in June, is our next topic of conversation. First, let’s touch on Visa’s positions at B2C payments. Visa already has an asset in the e-commerce payments field: CardinalCommerce was acquired in late 2016. Just recently, Visa received a strategic stake in Klarna, a Swedish payments firm. The company is valued $2.25 billion, and it has a sharp focus on services for online stores. Klarna has already served over 60 million customers and 70 thousand merchants. What is the main value that this fintech company delivers? Basically, their idea is to reduce the risks between potentially untrusted parties. 1) Using Klarna payers don’t have to share personal data with merchants. 2) The cash-on-delivery model always attracts customers. 3) Klarna utilizes efficient fraud detection and insures merchants against unfaithful buyers. These features are powerful incentives for merchants to operate with Klarna. A couple of weeks ago the company received a commercial bank license, which allows it to significantly expand the service portfolio and bring its core services to the pan-European market. So, Visa considers Klarna an important asset for them. The network also tries to enhance its competitive positions in the B2B segment. Visa launched Visa Ready Program for Business Solutions, a strategic framework to help technology companies that integrate with Visa’s B2B payment services. The goal of the program is to boost the company positions in the B2B segment with 3rd party technology partners, which meet all Visa requirements. The trusted partners’ technologies solve different tasks, from advanced security and faster processing to minimizing the cost of transactions. This has a significant effect on introducing the new types of banking-service providers and disrupts traditional payment methods, like checks. 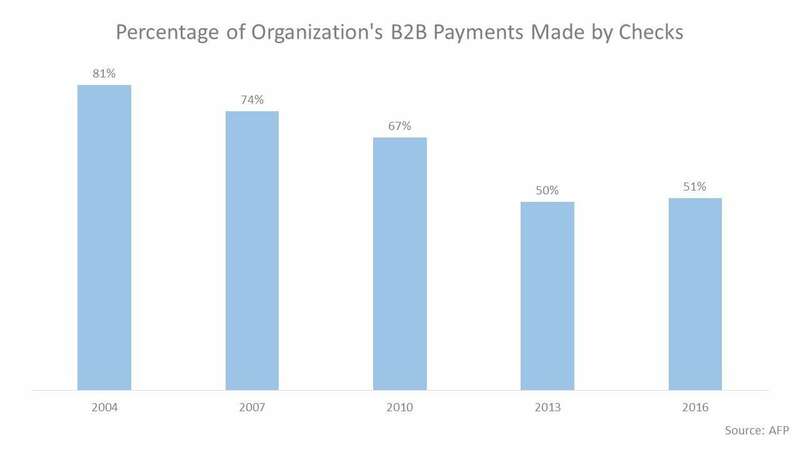 The share of checks in total transactions plunged to 6 percent in 2014 from 12 percent in 2010. According to the AFP Electronic Payments Survey, about 51 percent of organizations continue to make payment by check in 2016. But the situation has dramatically changed since 2004 when about 81 percent of organizations used them. By improving B2B offerings, Visa tries to gain share and turn organizations to its products. Have a look at our Digital Transformation Stories: How MasterCard and Capital One Have Joined the Fintech Wave to learn more about the changes in the payment and financial services sector. Gone are the times when mobile was considered a new trend. Although the technology has become mainstream, it still has a major potential. Annie App’s recent study shows that the mobile ecosystem will demonstrate rapid growth in nearly all areas, from engagement to mobile apps spending. So, what are the main drivers there? 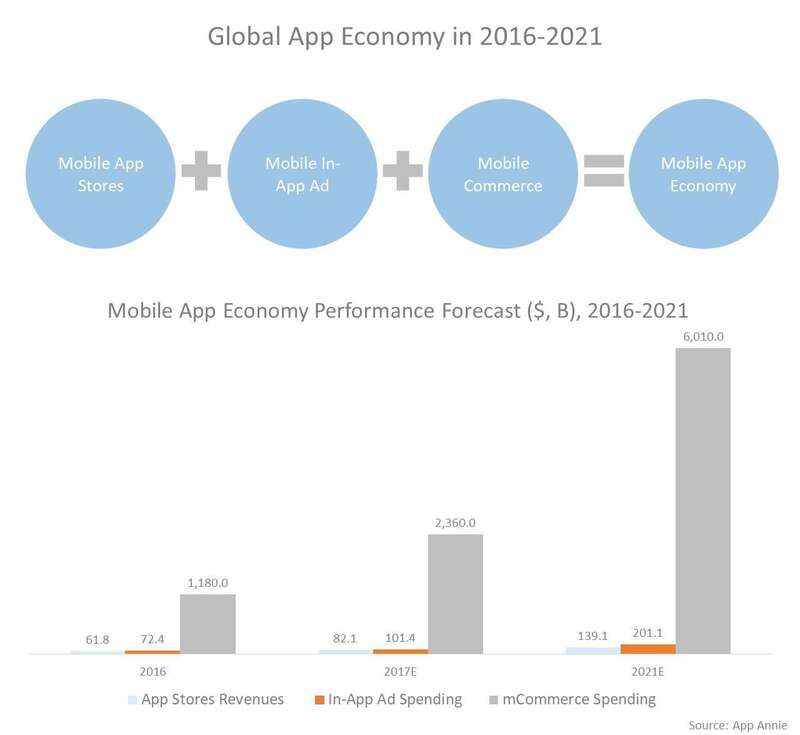 The user base and engagement will expand the value of the global app economy up to $6.4 trillion versus $1.3 trillion last year (mobile commerce, ads, app stores, etc.). What’s also worth mentioning is that the developed Western economies are lagging behind the Asia-Pacific region in the speed of shifting operations to mobile due to the widespread use of legacy systems. The user base will soar from 3.4 billion in 2016 to 6.3 billion people in 2021. By 2021, people will be much more engaged with mobile apps. 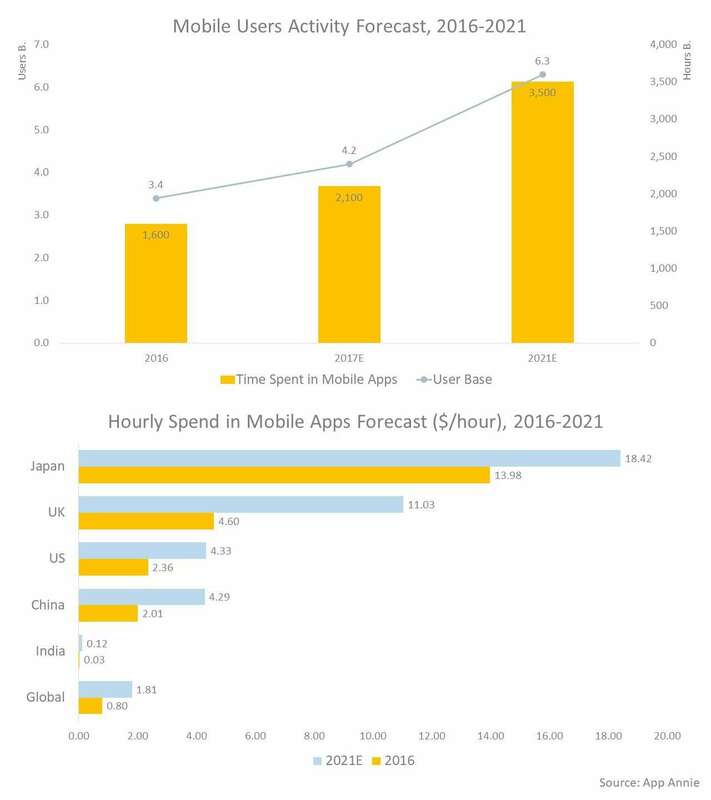 Users will spend nearly 3.5 trillion hours in apps versus 1.6 trillion hours in 2016. The average user will spend 555.6 hours a year compared with 470.5 hours now. Creation of mobile-first companies will be strongly driven by the growth of mobile AR, payments, 5G networks, and the further development of artificial intelligence. If businesses solve the existing UX problems on mobile the market may even outperform these forecasts. For instance, purchase and payment operations are far from being perfect. The growing popularity of chatbots and voice systems would help break the ice between buyers and their phones. Telehealth, doing diagnostics through technological monitoring, was a promising trend that people expected to become a revolution in healthcare. Care cost reduction, disease prevention, and regular visit replacement are only part of the whole list of benefits it could bring. 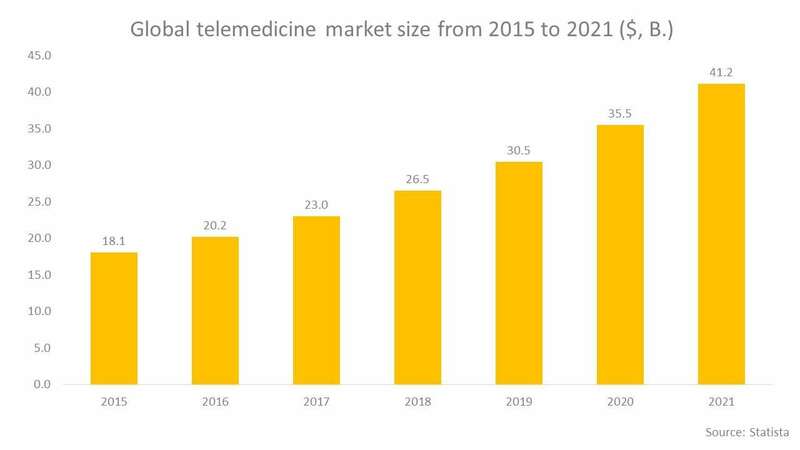 The global telemedicine market size was close to $20.8 billion in 2016 and, according to Statista, experts predicted that it will reach $41.2 billion in 2021. Unfortunately, we still haven’t seen the boom. 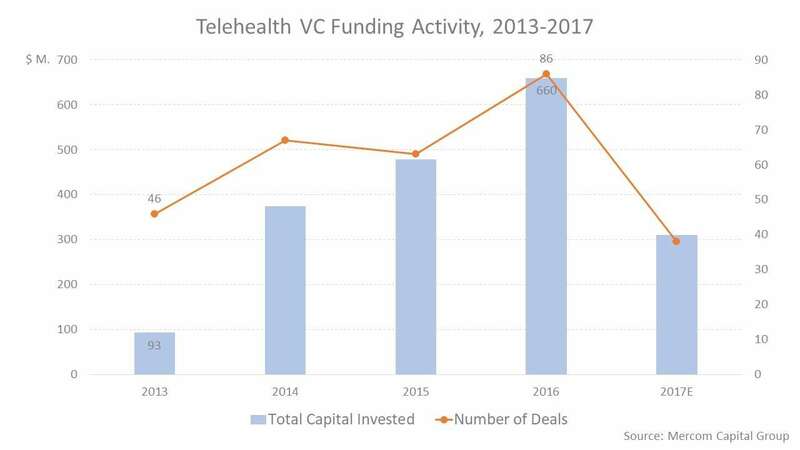 The recent Crunchbase analytics shows that remote medicine entices relatively little VC funding and it’ll drop nearly by a half in 2017 from $660 million the year before. The number of deals is also expected to decline dramatically. What is putting the brakes on the speed of acceptance of remote medicine? The technology expansion is being slowed by a range of regulatory, ethical, quality, and reimbursement issues. All these affect the trust among patients and investors. While technology can push the industry forward, the old-fashioned approaches in healthcare and the lack of vision among stakeholders are the main barriers today. But as regulations relax, telehealth will inevitably gain its positions back and we’ll see real changes in the ways people do diagnostics. The border between traditional commerce and eCommerce is blurred. Digital penetrates the physical and vice versa. June sent us two messages that only confirm that statement. The first one, Whole Foods Market, natural and organic food distributor, for $13.7 billion. 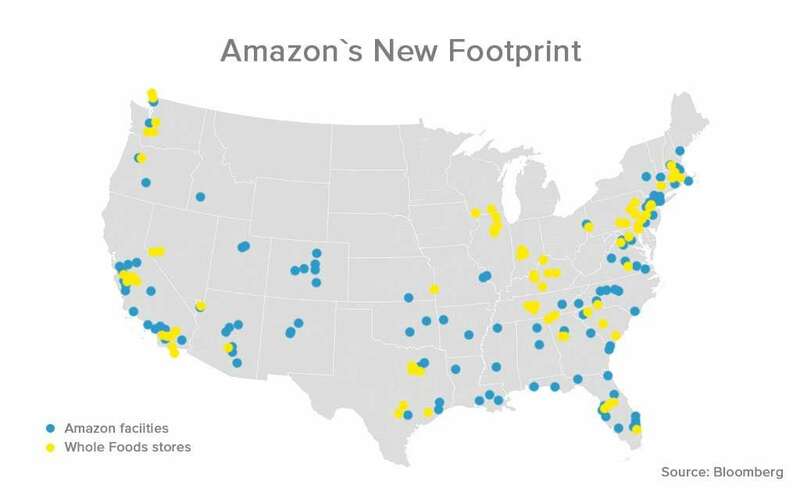 Earlier, the company confirmed its interest in the brick-and-mortar part of the industry while announcing and opening physical bookstores since 2015. The deal confirms the plan to quickly deploy even more physical operations. The second message, Walmart will pay $310 million for Bonobos, a men’s fashion eCommerce company. This may be considered a continuation of the giant’s digital strategy. Last quarter, US eCommerce sales soared by 63 percent. By acquiring small eCommerce players, Walmart tries to force an action in the digital space on Amazon to balance this physical vs. digital struggle. It seems that eСommerce won’t disrupt traditional retail completely. Millennials and Generation Z still prefer shopping in offline stores. They are still more profitable than eCommerce. So these digital and physical mergers signal that traditional retailers still can succeed. P.S. If you are a retail tech buff, have a look at our digital transformation stories on Walmart and Starbucks. Maybe the most interesting story to watch will be the competition among Apple, Amazon, and Google for the smart-speaker market. Smart assistants are an important part of the general IoT market, which is now being actively conquered by large tech corporations. 3) Apple stays a leader of the devices market, the guru of UX, product design, and a company with enormous technology potential. Why is it so interesting? All companies have their own strengths. Alexa delivers good results in shopping, Google Assistant can learn from the many search records that Google has, and Siri lives in the most popular mobile device in the Western world. Recent studies have shown that consumers are not ready to buy HomePod just yet. The only thing we know for sure is that the game is only in its early days. There’s a high probability that new players will enter the market in the near future as has happened before. For instance, Samsung is testing its speaking assistant ‘Vega’ with Bixby AI in it and we don’t know when the product is going to hit the market. We must wait and see what happens next.